This isn't a support issue, but I wanted to share successful disk (not data) recovery story. I hope this type of post is accepted here. I've recently obtained a physical copy of AmigaOS, provided on six 3½" MF2DD floppies. One of the disks had one (or more) broken blocks. 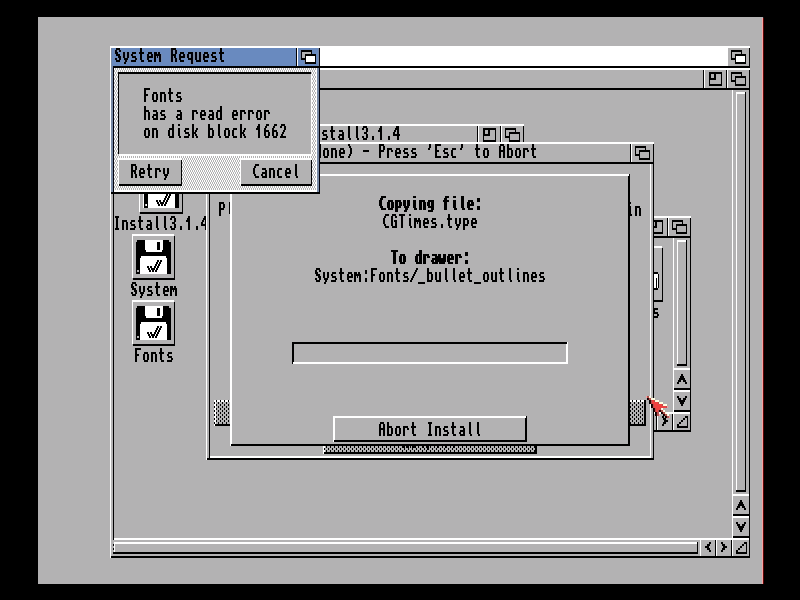 I tried to format the disk with an Amiga 1200, but AmigaOS 3.1.4 couldn't to finish the job. 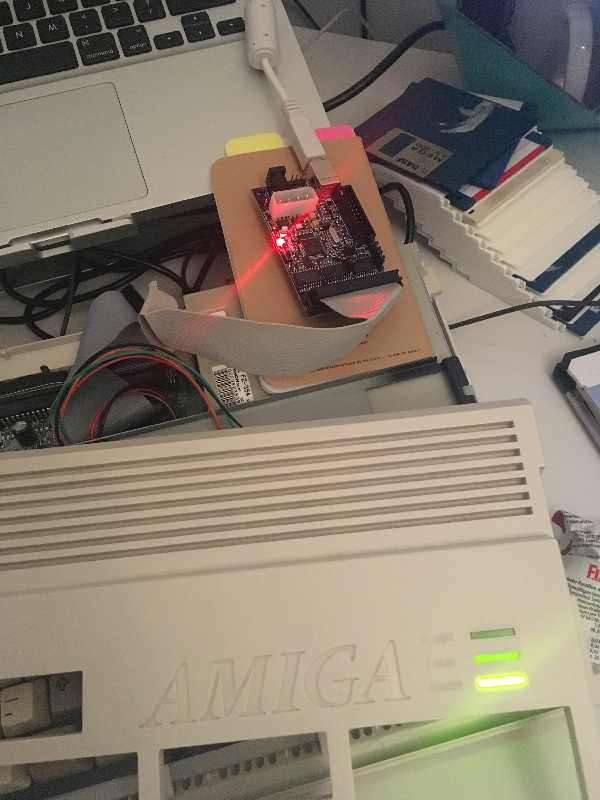 So I downloaded the original ADF-image and connected the built in floppy (Chinon, FZ-354, CM: maxtrack=83, salvaged from an Amiga 600) to the Kryoflux. 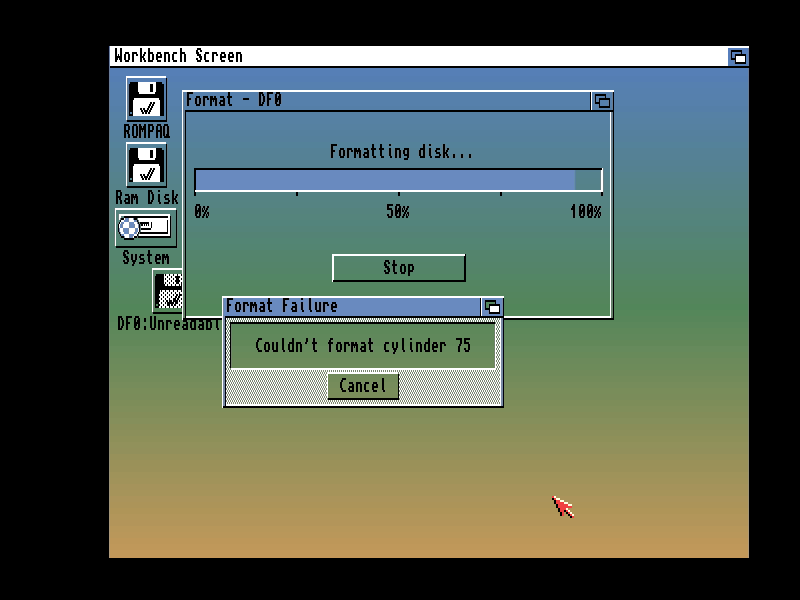 I used `DTC -fDisk.adf -w` to write to the same defective floppy disk and the task successfully completed. I used `DTC -fDiskClone -i0 -fDiskClone.adf -i5` to read it back: The SHA-256 checksums of Disk.adf and DiskCloned.adf matched. The disk now works. I can copy data from it without any issues or strange floppy drive sounds. As a final test, I formatted the disk and it successfully completed.